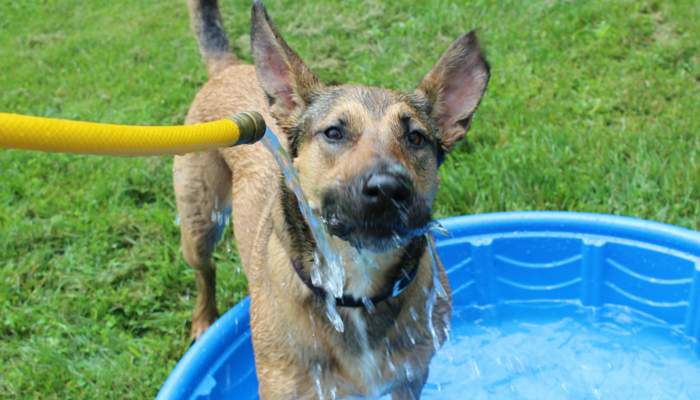 Last week I told you about Laika peeing in her kiddie pool right after I filled it up. Well let’s just say that’s happened a few more times since then. It’s the strangest thing – as soon as I remove the hose from the pool she jumps in and starts to tinkle. I’ve made sure to let her relieve herself beforehand but something about that pool makes her pee. She’s more interested in the hose anyways; so at least she gets to enjoy that. Still loves the hose; still peeing in the pool. 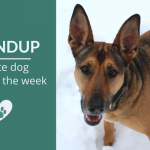 I usually don’t like to ask for help but if you have a second I’d absolutely love it if you checked out How to Keep You Dog Calm After Surgery I wrote for Victoria Stilwell’s site. To see something I wrote published on that site is beyond amazing; she’s been one of my heroes for many years and it feels so surreal. I hope you have get to kick back and relax with some nice reads this weekend. 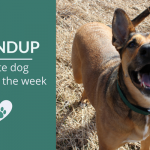 Here’s our favorite dog stories, deals, and videos of the week. I hope you enjoy them as much as I did. This is a very cool “experiment” to see what happens when you remove the breed labels from adoption kennels. They’re seeing a lot of success with people focusing more on the dog rather than the perceived breed. Beautifully written response to the “No, Your Dog is Not Your Baby” post that has been making the rounds lately. Sums up perfectly how I (and many others) felt after reading the overly critical article. Parenting Pets vs Parenting Humans: Can We Call a Truce? Another amazing look at the debate over using the term “pet parents” that’s been going on recently. Great look at the arguments from both sides and the need for support for one another – not competition. An honest look at what it’s like to own a Belgian Malinois. Wonderful reminder to take the time and do your research before deciding on adding a dog to the family. 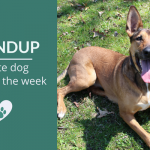 Very timely because the movie “Saving Max” starring a Malinois comes out June 26; here’s a great video that explains “101 Dalmatians Syndrome” and what it could mean for the Malinois. Results from a recent study of 364 that seems to confirm other reports in scientific studies that show reward based training is more effective than punishment based training. Amazing in-depth look at giving our animals choices when it comes to training. Goes into detail on the differences between choices and preferences and the many types of choices available. Scientists performed an autopsy on a 12,450 year old mummified dog that was found in 2011. The study aims to find if this dog is an ancestor of modern day domestic pets. Cases of canine anxiety and depression seem to be on the rise and this article takes a look at some of the possibilities for this shift. Evidence has been found of ancient animal cults next to the sacred tomb of Anubis. In addition to canine mummies they found the mummies of jackals, foxes, falcons, cats and mongoose, although about 92 percent of the remains belonged to dogs, they found. And that cute image above? 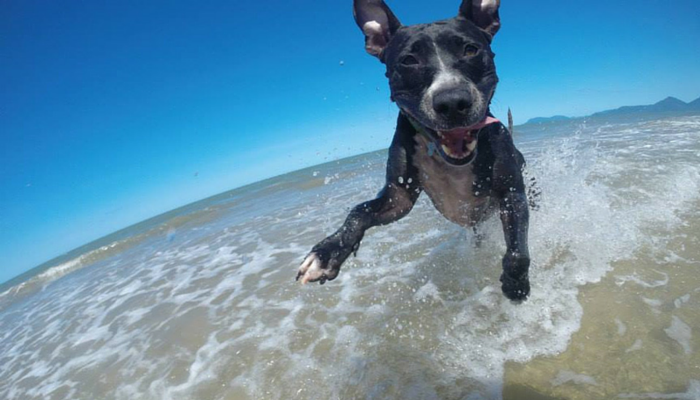 It’s from the photo post If Your Dog Had a Summer Bucket List. I think the Greyhound might be my spirit animal. « Why Do Female Dogs Hump? I read some of these articles and can’t get over how that pitbull can jump. Awesome article roundup. These are great stories and videos. Thanks for sharing! Lol that is so weird and funny that she pees in the kiddie pool! Very good roundup, Jen – I had not read several of these articles. Great roundup of articles, thanks! We can always count on you to provide a great selection of articles. Your article on Victoria’s site is terrific and what an honor to be selected to appear on her site! The video of the pit bull and the kids jumping together is too cute! I also loved the post from Rubicon Days about not using the term “dog mom.” I could relate to that, and I checked out the post she referenced from the other blogger. I don’t really use the term “dog mom” either, but I could care less if others want to use it. Good grief! 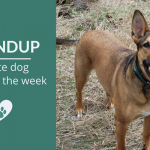 Thanks so much for including my dog mom post, Jen! I loved so many of the other posts you included, finding the one about removing breed labels especially interesting.